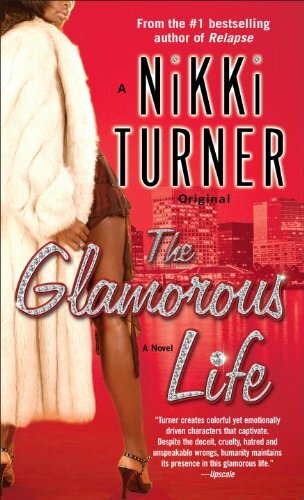 The #1 bestselling author of Natural Born Hustler and Relapse, Nikki Turner gives up the game that could never be sold, only told. The lure of Richmond, Virginia’s streets is too strong for Bambi, a good girl who fell in love with Reggie, a young hustler. Her thug love not only corrupted her but blinded her with the bling and cash that come with living the glamorous life of a gangsta’s girl—until Reggie hit her with a low blow, breaking her heart. From that day forward, Bambi vowed that whoever crossed her would pay—usually with large bills. With the street knowledge she gleaned from her ex as well as her own business savvy, Bambi builds a multimillion-dollar party-planning empire and becomes a first-rate swindler and top-notch gamestress. Then she crosses paths with Lynx, who sees more in Bambi than the gold digger she is rumored to be. He penetrates her tough exterior layer by layer until he captures her heart. But is she just setting herself up to be played once again?